Bottlerocket Wine & Spirit in New York City has long prided itself on sidestepping the trappings of a traditional wine shop. 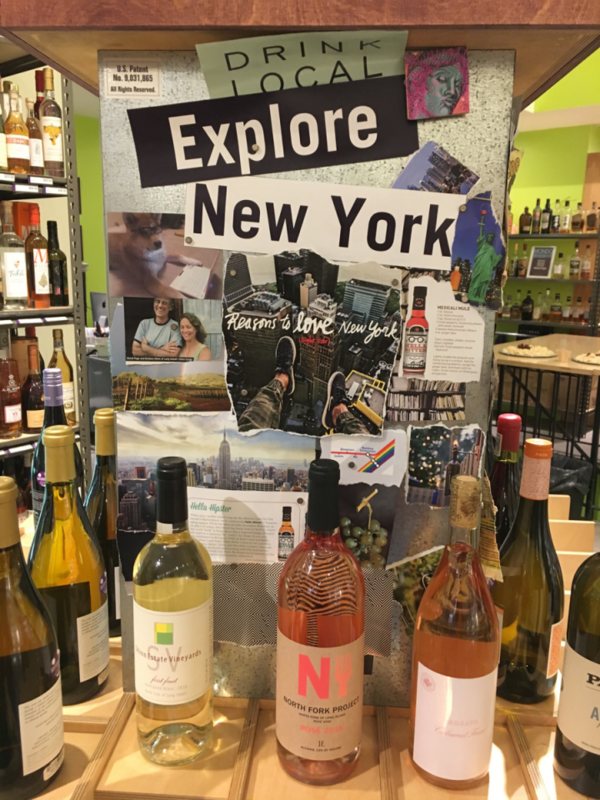 Though the store, based in Manhattan’s Flatiron neighborhood, has familiar features like a floor-to-ceiling wine wall organized alphabetically by country, the similarities don’t go much farther than that. Guided by this idea of “less is more,” Bottlerocket curates a selection of 450 to 500 wines ($7 to $799 a 750-ml. )—far fewer than nearby competitors, many of which stock upwards of 1,000 labels. For every wine on display, Bottlerocket also supplies informative cards that detail region, pairing suggestions and the store’s own rating, which is an amalgamation of both staff and critics’ scores. At the heart of Bottlerocket, though, are the 16 patented display “islands” that dominate the main floor. Assistant general manager Aimée Lasseigne New, an industry veteran and longtime Bottlerocket employee, manages the eye-catching arrangements, which feature collage-style visuals and large decorative toppers. The islands are the brainchildren of Bottlerocket founder and owner Tom Geniesse, who patented the thematic organization concept prior to the store’s opening in 2006. “We go from a big world of wine to a manageable world of wine to ‘What am I doing tonight?’” Itkin explains. “If you’re going to a friend’s house, and he’s ordering Chinese food and his girlfriend likes wine and you’re wondering what to bring—well, we have an island for that.” The island to which Itkin is referring is one of two that provide wine pairing suggestions for cuisines ranging from Chinese and Indian to Italian and Mexican. Every island has four sides, with each side representing a specific take on a broad concept. The white wine island, for example, features light-bodied, medium-bodied, full-bodied and sparkling subcategories. The other 15 islands cover categories like red wine, value wine, wine for events and wine as a gift. The islands also serve as epicenters of education. “Rules of thumb” on each one answer a variety of frequently asked questions or spell out basic facts and principles, such as what it means to be light-bodied or why a gift for the boss should cost a minimum of $50. “All of the embarrassing questions that you would have to ask a salesperson in a wine shop—which are embarrassing to people because they feel they’re undereducated in wine—are taken away,” Itkin says. 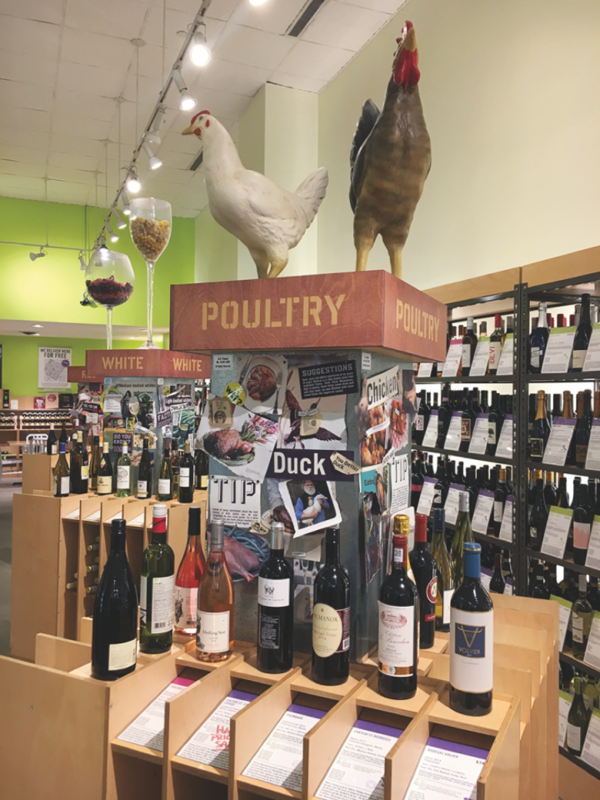 Though Bottlerocket’s displays are intended to make customers feel confident in solo decision-making, the staff offers more guided education as well, with free in-store tastings held every Thursday through Saturday. Special events are also a hallmark: Every October, Bottlerocket hosts a pairing of wines with Halloween candies, and Thursdays in August are dedicated to large-format tastings that highlight refreshing beverages and live music. While wine may be the shop’s primary focus, spirits ($10 to $2,998 a 750-ml.) have increased tremendously since Bottlerocket opened, with sales doubling in the last decade and around 400 spirits SKUs now in stock. Bottlerocket’s opt-in whisk(e)y program, Mondo Whisk(e)y, debuted earlier this year and has since flourished, aided by events like Whisk(e)y Month, during which whiskies are tasted in-store every night of February. Mondo members receive exclusive offers from Bottlerocket, as well as alerts when the store gets certain allocated items. As Bottlerocket’s scope has expanded, so have its brick-and-mortar locations. In 2012, a second Bottlerocket store opened in Westport, Connecticut, selling beer in addition to wine and spirits. More stores in additional cities are planned for the future, all of which will include the intuitive design that’s central to Bottlerocket’s mission.